Islam ( /ˈɪslɑːm/ ) [note 1] is an Abrahamic monotheistic religion teaching that there is only one God (Arabic: Allah), and that Muhammad is the messenger of God. It is the world's second-largest religion  with over 1.8 billion followers or 24% of the world's population,  most commonly known as Muslims. Muslims make up a majority of the population in 50 countries. Islam teaches that God is merciful, all-powerful, and unique,  and has guided humankind through prophets, revealed scriptures and natural signs. 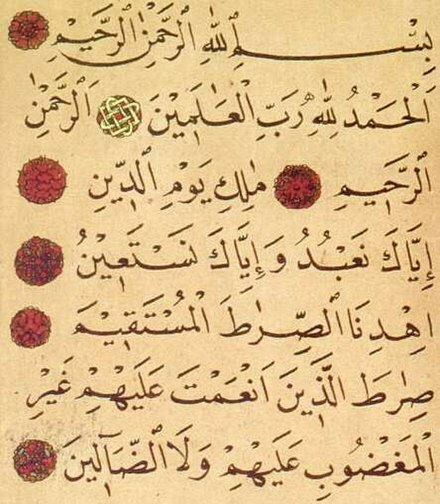 The primary scriptures of Islam are the Quran, viewed by Muslims as the verbatim word of God, and the teachings and normative examples (called the sunnah , composed of accounts called hadith ) of Muhammad (c. 570 – 8 June 632 CE). The Abrahamic religions, also referred to collectively as Abrahamism, are a group of Semitic-originated religious communities of faith that claim descent from the Judaism of the ancient Israelites and the worship of the God of Abraham. The Abrahamic religions are monotheistic, with the term deriving from the patriarch Abraham. Tawhid is the indivisible oneness concept of monotheism in Islam. Tawhid is the religion's central and single-most important concept, upon which a Muslim's entire faith rests. It unequivocally holds that God is One and Single ; therefore, the Islamic belief in God is considered Unitarian." Âdam or Aadam is believed to have been the first human and nabi on Earth, in Islam. Adam's role as the father of the human race is looked upon by Muslims with reverence. Muslims also refer to his wife, Hawa, as the "mother of mankind". Muslims see Adam as the first Muslim, as the Quran states that all the Prophets preached the same faith of Islam . In the Qur'an Adam is given the name by God known as the (Adam-I-Safi) or The Chosen One. Ibrahim, known as Abraham in the Hebrew Bible, is recognized as a prophet and messenger in Islam of God. Abraham plays a prominent role as an example of faith in Judaism, Christianity, and Islam. In Muslim belief, Abraham fulfilled all the commandments and trials wherein God nurtured him throughout his lifetime. As a result of his unwavering faith in God, Ibrahim was promised by God to be a leader to all the nations of the world. The Quran extols Ibrahim as a model, an exemplar, obedient and not an idolater. In this sense, Abraham has been described as representing "primordial man in universal surrender to the Divine Reality before its fragmentation into religions separated from each other by differences in form". 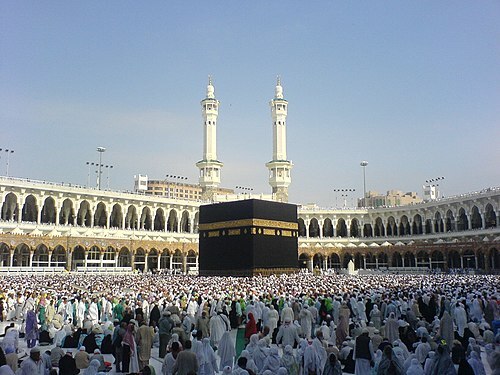 The Islamic holy day Eid al-Adha is celebrated in memory of the sacrifice of Abraham, and each able bodied Muslim is supposed to perform the pilgrimage to pay homage at the Ka‘bah in the Hijazi city of Mecca, which was built by Abraham and his son Ishmael as the first house of worship on earth. Aqidah is an Islamic term meaning "creed". The historiography of early Islam refers to the study of the early history of Islam during the 7th century, from Muhammad's first revelations in AD 610 until the disintegration of the Rashidun Caliphate in AD 661, and arguably throughout the 8th century and the duration of the Umayyad Caliphate, terminating in the incipient Islamic Golden Age around the beginning of the 9th century. The roots of verbs and most nouns in the Semitic languages are characterized as a sequence of consonants or "radicals". Such abstract consonantal roots are used in the formation of actual words by adding the vowels and non-root consonants which go with a particular morphological category around the root consonants, in an appropriate way, generally following specific patterns. It is a peculiarity of Semitic linguistics that a large majority of these consonantal roots are triliterals. In Sunnī Islām, the Hadith of Gabriel(ḥadīth Jibrīl) is the single most important Hadīth, of the last prophet of Islam. Its narrative contains the best summary of the core of Islam: Islam (إسلام), which is described with the "Five Pillars of Islam", Iman (إمان), which is described with the "Six Articles of Faith", Ihsan (إحسان), or "doing what is beautiful", and the Saa’a (الساعة), or ‘The Hour’, which isn’t described, but signs are given. This Hadīth is found in both the Ṣaḥīḥ al-Bukhārī and the Ṣaḥīḥ Muslim. The hadith is known to express the religion of Islam in a nutshell. Mohammedan is a term for a follower of Muhammad, the Islamic prophet. 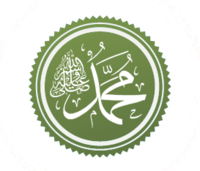 It is used as both a noun and an adjective, meaning belonging or relating to, either Muhammad or the religion, doctrines, institutions and practices that he established. The word was formerly common in usage, but the terms Muslim and Islamic are more common today. Though sometimes used stylistically by some Muslims, a vast majority consider the term a misnomer. Religious offense means any action which offends religious sensibilities and arouses serious negative emotions in people with strong belief and which is usually associated with an orthodox response to, or correction of, sin. Gautama Buddha, also known as Siddhārtha Gautama in Sanskrit or Siddhattha Gotama in Pali, ShakyamuniBuddha, or simply the Buddha, after the title of Buddha, was a monk (śramaṇa), mendicant, sage, philosopher, teacher and religious leader on whose teachings Buddhism was founded. He is believed to have lived and taught mostly in the northeastern part of ancient India sometime between the 6th and 4th centuries BCE. Muslims believe that the creation of everything in the universe was brought into being by God's sheer command, "Be, and it is"  and that the purpose of existence is to worship or to know God. He is viewed as a personal god who responds whenever a person in need or distress calls him. There are no intermediaries, such as clergy, to contact God who states, "I am nearer to him than (his) jugular vein." God consciousness is referred to as Taqwa. 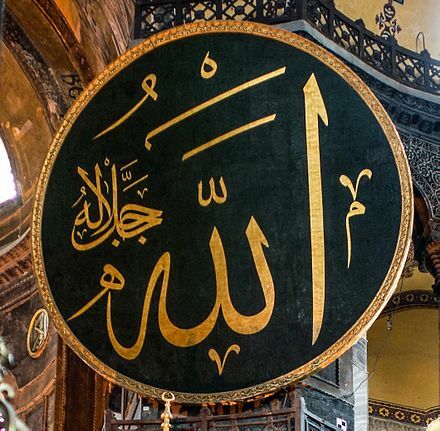 Allāh is the term with no plural or gender used by Muslims and Arabic-speaking Christians and Jews to reference God, while ʾilāh (Arabic : إله‎) is the term used for a deity or a god in general. Other non-Arab Muslims might use different names as much as Allah, for instance "Tanrı" in Turkish,[ citation needed ] "Khodā" in Persian or "Ḵẖudā" in Urdu. The Quran is the principal source for the Islamic concept of angels. Some of them, such as Gabriel and Michael, are mentioned by name in the Quran, others are only referred to by their function. In hadith literature, angels are often assigned to only one specific phenomena. Angels play a significant role in Mi'raj literature, where Muhammad encounters several angels during his journey through the heavens. Further angels have often been featured in Islamic eschatology, Islamic theology and Islamic philosophy. Duties assigned to angels include, for example, communicating revelations from God, glorifying God, recording every person's actions, and taking a person's soul at the time of death. In Islam, just like in Judaism and Christianity, angels are often represented in anthropomorphic forms combined with supernatural images, such as wings, being of great size or wearing heavenly articles. The Quran describes them as "messengers with wings—two, or three, or four (pairs)..."  Common characteristics for angels are their missing needs for bodily desires, such as eating and drinking. Their lack of affinity to material desires is also expressed by their creation from light: Angels of mercy are created from nur (cold light) in opposition to the angels of punishment created from nar (hot light). Muslims do not generally share the perceptions of angelic pictorial depictions, such as those found in Western art. The Quran is more concerned with moral guidance than legislation, and is considered the "sourcebook of Islamic principles and values". Muslim jurists consult the hadith ("reports"), or the written record of Prophet Muhammad's life, to both supplement the Quran and assist with its interpretation. The science of Quranic commentary and exegesis is known as tafsir . The set of rules governing proper elocution of recitation is called tajwid . Muslims believe that God finally sent Muhammad as the last law-bearing prophet ( Seal of the prophets ) to convey the divine message to the whole world (to sum up and to finalize the word of God). In Islam, the "normative" example of Muhammad's life is called the sunnah (literally "trodden path"). 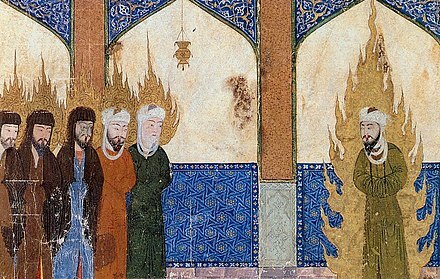 Muslims are encouraged to emulate Muhammad's actions in their daily lives and the sunnah is seen as crucial to guiding interpretation of the Quran. This example is preserved in traditions known as hadith, which recount his words, his actions, and his personal characteristics. Hadith Qudsi is a sub-category of hadith, regarded as verbatim words of God quoted by Muhammad but is not part of the Quran. There are five basic religious acts in Islam, collectively known as 'The Pillars of Islam' (arkan al-Islam; also arkan ad-din, "pillars of religion"), which are considered obligatory for all believers. The Quran presents them as a framework for worship and a sign of commitment to the faith. They are (1) the creed (Shahada), (2) daily prayers (Salah), (3) almsgiving (Zakat), (4) fasting during Ramadan (Sawm) and (5) the pilgrimage to Mecca (Hajj) at least once in a lifetime. Both Shia and Sunni sects agree on the essential details for the performance of these acts. Apart from these, Muslims also perform other religious acts. Notable among them are charity (Sadaqah) and recitation of the Quran. Ritual prayers are called Ṣalāh or Ṣalāt (Arabic: صلاة). Salat is intended to focus the mind on God, and is seen as a personal communication with him that expresses gratitude and worship. Performing prayers five times a day is compulsory but flexibility in the timing specifics is allowed depending on circumstances. The prayers are recited in the Arabic language, and consist of verses from the Quran. The prayers are done with the chest in direction of the kaaba though in the early days of Islam, they were done in direction of Jerusalem. The act of supplicating is referred to as dua. A Mosque is a place of worship for Muslims, who often refer to it by its Arabic name masjid. A large mosque for gathering for Friday prayers or Eid prayers are called masjid jāmi. Although the primary purpose of the mosque is to serve as a place of prayer, it is also important to the Muslim community as a place to meet and study. In Medina, Al-Masjid al-Nabawi, or the Prophet's Mosque, was also a place of refuge for the poor. Modern mosques have evolved greatly from the early designs of the 7th century, and contain a variety of architectural elements such as minarets. The means used to signal the approach of prayer time is a vocal call, known as the adhan. "Zakāt" (Arabic : زكاة‎zakāh "alms") is giving a fixed portion of accumulated wealth by those who can afford it to help the poor or needy and for those employed to collect Zakat; also, for bringing hearts together, freeing captives, for those in debt (or bonded labour) and for the (stranded) traveller. It is considered a religious obligation (as opposed to voluntary charity) that the well-off owe to the needy because their wealth is seen as a "trust from God's bounty". Conservative estimates of annual zakat is estimated to be 15 times global humanitarian aid contributions. The amount of zakat to be paid on capital assets (e.g. money) is 2.5% (1/40) per year,  for people who are not poor. Sadaqah means optional charity which is practiced as religious duty and out of generosity. Both the Quran and the hadith have put much emphasis on spending money for the welfare of needy people,  and have urged the Muslims to give more as an act of optional charity. The Quran says: "Spend something (in charity) out of the substance which We have bestowed on you, before Death should come to any of you" (63:10). One of the early teachings of Muhammad was that God expects men to be generous with their wealth and not to be miserly (Quran 107:1–7). Accumulating wealth without spending it to address the needs of the poor is generally prohibited and admonished. Another kind of charity in Islam is waqf which means perpetual religious endowment. The obligatory Islamic pilgrimage, called the ḥajj (Arabic : حج‎), has to be performed during the Islamic month of Dhu al-Hijjah in the city of Mecca. Every able-bodied Muslim who can afford it must make the pilgrimage to Mecca at least once in his or her lifetime. Rituals of the Hajj include: spending a day and a night in the tents in the desert plain of Mina, then a day in the desert plain of Arafat praying and worshiping God, following the foot steps of Abraham; then spending a night out in the open, sleeping on the desert sand in the desert plain of Muzdalifah; then moving to Jamarat, symbolically stoning the Devil recounting Abraham's actions;    then going to Mecca and walking seven times around the Kaaba which Muslims believe was built as a place of worship by Abraham; then walking seven times between Mount Safa and Mount Marwah recounting the steps of Abraham's wife, Hagar, while she was looking for water for her son Ishmael in the desert before Mecca developed into a settlement. Another form of pilgrimage, Umrah, can be undertaken at any time of the year. Muslims recite and memorize the whole or part of the Quran as acts of virtue. Reciting the Quran with elocution has been described as an excellent act of worship. 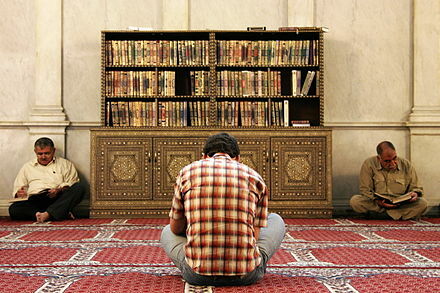 Pious Muslims recite the whole Quran at the month of Ramadan. In Islamic societies, any social program generally begins with the recitation of the Quran. One who has memorized the whole Quran is called a hafiz who, it is said, will be able to intercede for ten people on the Last Judgment Day. Apart from this, almost every Muslim memorizes some portion of the Quran because they need to recite it during their prayers. Islam, like Judaism, has no clergy in the sacerdotal sense, such as priests who mediate between God and people. However, there are many terms in Islam to refer to religiously sanctioned positions of Islam. 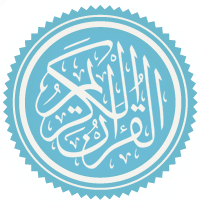 In the broadest sense, the term ulema (Arabic : علماء‎) is used to describe the body of Muslim scholars who have completed several years of training and study of Islamic sciences. A jurist who interprets Islamic law is called a mufti (Arabic : مفتي‎) and often issues legal opinions, called fatwas. A scholar of jurisprudence is called a faqih (Arabic : فقيه‎). Someone who studies the science of hadith is called a muhaddith. A qadi is a judge in an Islamic court. Honorific titles given to scholars include sheikh, mullah and mawlawi. Imam (Arabic : إمام‎) is a leadership position, often used in the context of conducting Islamic worship services. Certain religious rites are performed during and after the death of a Muslim. Those near a dying man encourage him to pronounce the Shahada as Muslims want their last word to be their profession of faith. After the death, the body is appropriately bathed by the members of the same gender and then enshrouded in a threefold white garment called kafan. Placing the body on a bier, it is first taken to a mosque where funeral prayer is offered for the dead person, and then to the graveyard for burial. In a Muslim society, various social service activities are performed by the members of the community. As these activities are instructed by Islamic canonical texts, a Muslim's religious life is seen incomplete if not attended by service to humanity. In fact, In Islamic tradition, the idea of social welfare has been presented as one of its principal values. The 2:177 verse of the Quran is often cited to encapsulate the Islamic idea of social welfare. [note 2] Similarly, duties to parents, neighbors, relatives, sick people, the old, and minorities have been defined in Islam. Respecting and obeying one's parents, and taking care of them especially in their old age have been made a religious obligation. A two-fold approach is generally prescribed with regard to duty to relatives: keeping good relations with them, and offering them financial help if necessary. Severing ties with them has been admonished. Regardless of a neighbor's religious identity, Islam teaches Muslims to treat neighboring people in the best possible manner and not to cause them any difficulty. Concerning orphaned children, the Quran forbids harsh and oppressive treatment to them while urging kindness and justice towards them. It also rebukes those who do not honor and feed orphaned children (Quran 89:17–18). The Quran and the sunnah of Muhammad prescribe a comprehensive body of moral guidelines for Muslims to be followed in their personal, social, political, and religious life. Proper moral conduct, good deeds, righteousness, and good character come within the sphere of the moral guidelines. In Islam, the observance of moral virtues is always associated with religious significance because it elevates the religious status of a believer  and is often seen as a supererogatory act of worshipping. One typical Islamic teaching on morality is that imposing a penalty on an offender in proportion to their offense is permissible and just; but forgiving the offender is better. To go one step further by offering a favor to the offender is regarded the highest excellence. The Quran says: 'Repel (evil) with what is best' (41:34). Thus, a Muslim is expected to act only in good manners as bad manners and deeds earn vices. The fundamental moral qualities in Islam are justice, forgiveness, righteousness, kindness, honesty, and piety. Other mostly insisted moral virtues include but not limited to charitable activities, fulfillment of promise, modesty (haya) and humility, decency in speech, tolerance, trustworthiness, patience, truthfulness, anger management, and sincerity of intention. With Muhammad's death in 632, disagreement broke out over who would succeed him as leader of the Muslim community. Abu Bakr, a companion and close friend of Muhammad, was made the first caliph. Under Abu Bakr, Muslims put down a rebellion by Arab tribes in an episode known as the Ridda wars, or "Wars of Apostasy". The Quran was compiled into a single volume at this time. Caliphs such as Mamun al Rashid and Al-Mu'tasim made the mutazilite philosophy an official creed and imposed it upon Muslims to follow. Mu'tazila was a Greek influenced school [ citation needed ] of Sunni scholastic theology called kalam, which refers to dialectic. Many orthodox Muslims[ who? ] rejected mutazilite doctrines and condemned their idea of the creation of the Quran. In inquisitions, ibn Hanbal refused to conform[ citation needed ] and was tortured and sent to an unlit Baghdad prison cell for nearly thirty months. Other branches of kalam were the Ash'ari school founded by Al-Ash'ari and Maturidi founded by Abu Mansur al-Maturidi. The Muslim world was generally in political decline starting the 1800s, especially relative to the non-Muslim European powers. This decline was evident culturally; while Taqi al-Din founded an observatory in Istanbul and the Jai Singh Observatory was built in the 18th century, there was not a single Muslim-majority country with a major observatory by the twentieth century. The Reconquista, launched against Muslim principalities in Iberia, succeeded in 1492. By the 19th century the British Empire had formally ended the Mughal dynasty in India. In the 19th century, the Deobandi and Barelwi movements were initiated. Contact with industrialized nations brought Muslim populations to new areas through economic migration. Many Muslims migrated as indentured servants, from mostly India and Indonesia, to the Caribbean, forming the largest Muslim populations by percentage in the Americas. The resulting urbanization and increase in trade in sub-Saharan Africa brought Muslims to settle in new areas and spread their faith, likely doubling its Muslim population between 1869 and 1914. Muslim immigrants began arriving, many as guest workers and largely from former colonies, in several Western European nations since the 1960s. While the Sunnis believe that a Caliph should be elected by the community, Shia's believe that Muhammad appointed his son-in-law, Ali ibn Abi Talib, as his successor and only certain descendants of Ali could be Imams. As a result, they believe that Ali ibn Abi Talib was the first Imam (leader), rejecting the legitimacy of the previous Muslim caliphs Abu Bakr, Uthman ibn al-Affan and Umar ibn al-Khattab. Other points of contention include certain practices viewed as innovating the religion, such as the mourning practice of tatbir, and the cursing of figures revered by Sunnis. However, Jafar al-Sadiq himself disapproved of people who disapproved of his great grand father Abu Bakr and Zayd ibn Ali revered Abu Bakr and Umar. More recently, Grand Ayatollah Ali Khamenei  and Grand Ayatollah Ali al-Sistani  condemned the practice. Shia Islam has several branches, the most prominent being the Twelvers (the largest branch), Zaidis and Ismailis. Different branches accept different descendants of Ali as Imams. After the death of Imam Jafar al-Sadiq who is considered the sixth Imam by the Twelvers and the Ismaili's, the Ismailis recognized his son Isma'il ibn Jafar as his successor whereas the Twelver Shia's (Ithna Asheri) followed his other son Musa al-Kadhim as the seventh Imam. 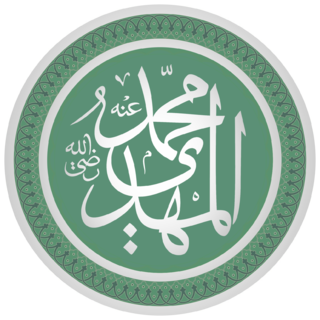 The Zaydis consider Zayd ibn Ali, the uncle of Imam Jafar al-Sadiq, as their fifth Imam, and follow a different line of succession after him. Other smaller groups include the Bohra as well as the Alawites and Alevi. Some Shia branches label other Shia branches that do not agree with their doctrine as Ghulat. Ahmadiyya is an Islamic reform movement (with Sunni roots) founded by Mirza Ghulam Ahmad  that began in India in 1889 and is practiced by 10 to 20 million  Muslims around the world. Ahmad claimed to have fulfilled the prophecies concerning the arrival of the 'Imam Mahdi' and the 'Promised Messiah'. Bektashi Alevism is a syncretic and heterodox local Islamic tradition, whose adherents follow the mystical (bāṭenī) teachings of Ali and Haji Bektash Veli. Alevism incorporates Turkish beliefs present during the 14th century,  such as Shamanism and Animism, mixed with Shias and Sufi beliefs, adopted by some Turkish tribes. The Ibadi is a sect that dates back to the early days of Islam and is a branch of Kharijite and is practiced by 1.45 million Muslims around the world. Unlike most Kharijite groups, Ibadism does not regard sinful Muslims as unbelievers. Some movements, such as the Druze, Berghouata and Ha-Mim, either emerged from Islam or came to share certain beliefs with Islam and whether each is separate a religion or a sect of Islam is sometimes controversial. Yazdânism is seen as a blend of local Kurdish beliefs and Islamic Sufi doctrine introduced to Kurdistan by Sheikh Adi ibn Musafir in the 12th century. Bábism stems from Twelver Shia passed through Siyyid 'Ali Muhammad i-Shirazi al-Bab while one of his followers Mirza Husayn 'Ali Nuri Baha'u'llah founded the Bahai Faith. Sikhism, founded by Guru Nanak in late-fifteenth-century Punjab, incorporates aspects of both Islam and Hinduism. African American Muslim movements include the Nation of Islam, Five-Percent Nation and Moorish scientists. The term "Islamic culture" could be used to mean aspects of culture that pertain to the religion, such as festivals and dress code. It is also controversially used to denote the cultural aspects of traditionally Muslim people. Finally, "Islamic civilization" may also refer to the aspects of the synthesized culture of the early Caliphates, including that of non-Muslims,  sometimes referred to as "Islamicate". Perhaps the most important expression of Islamic architecture is that of the mosque. Varying cultures have an effect on mosque architecture. For example, North African and Spanish Islamic architecture such as the Great Mosque of Kairouan contain marble and porphyry columns from Roman and Byzantine buildings,  while mosques in Indonesia often have multi-tiered roofs from local Javanese styles. 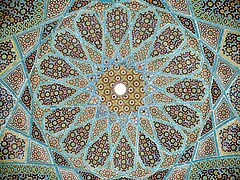 Islamic art encompasses the visual arts produced from the 7th century onwards by people (not necessarily Muslim) who lived within the territory that was inhabited by Muslim populations. It includes fields as varied as architecture, calligraphy, painting, and ceramics, among others. Islamic eschatology is the pillar of Islamic theology concerning the day of judgement, and the "Day of Judgement " after that, known as Yawm al-Qiyāmah or Yawm ad-Dīn. It is characterized by the annihilation of all life, which will then be followed by its resurrection and judgment by God. When al-Qiyamah will happen is not specified, but according to prophecy, primarily elaborated by hadith-literature, there are major and minor signs that will foretell its coming. Many verses in the Quran mention the Last Judgment. 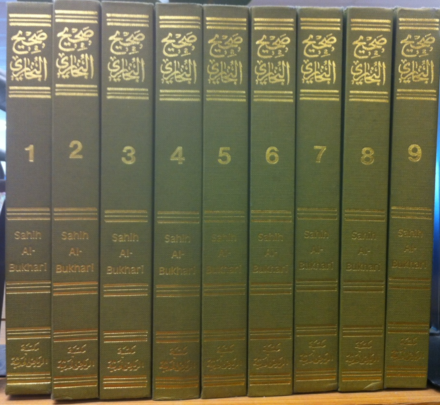 Sunnah, also sunna or sunnat, is the body of literature which discusses and prescribes the traditional customs and practices of the Islamic community, both social and legal, being based on the verbally transmitted record of the teachings, deeds and sayings, silent permissions of the Islamic prophet Muhammad, as well as various reports about Muhammad's companions. The Quran and the sunnah make up the two primary sources of Islamic theology and law. The sunnah is also defined as "a path, a way, a manner of life"; "all the traditions and practices" of the Islamic prophet that "have become models to be followed" by Muslims. The Khawarij, Kharijites, or the ash-Shurah are members of a school of thought that appeared in the first century of Islam during the First Fitna, the crisis of leadership after the death of Muhammad. It broke into revolt against the authority of the Caliph Ali after he agreed to arbitration with his rival, Muawiyah I, to decide the succession to the Caliphate following the Battle of Siffin (657). A Khariji later assassinated Ali, and for hundreds of years, the Khawarij were a source of insurrection against the Caliphate. Jaʿfar ibn Muḥammad, commonly known as Jafar al-Sadiq or simply as-Sadiq, was the sixth Shia Imam and a major figure in the Hanafi and Maliki schools of Sunni jurisprudence. He was a descendant of Ali on the side of his father, Muhammad al-Baqir, and of Muhammad ibn Abu Bakr on the side of his mother, Umm Farwah bint al-Qasim. Muhammad ibn Abu Bakr was raised by Ali, but was not his son. Ali used to say: "Muhammad Ibn Abu Bakr is my son but from Abu Bakr's lineage". Al-Sadiq is the 6th imam and recognized by all Shia sects as an Imam, and is revered in traditional Sunni Islam as a transmitter of Hadith, prominent jurist, and mystic to sufis. Despite his wide-ranging attributions in a number religious disciplines, no works penned by Ja'far himself remain extant. Companions of the Prophet or aṣ-ṣaḥābah were followers of Mohammed who "saw or met the prophet during his lifetime and were physically in his presence". "Sahabah" is definite plural; the indefinite singular is masculine sahabi, feminine sahabia. The Ibadi Movement, Ibadism or Ibāḍiyya, also known as the Ibadis, is a school of Islam dominant in Oman. It is also found in parts of Algeria, Tunisia, Libya and East Africa. 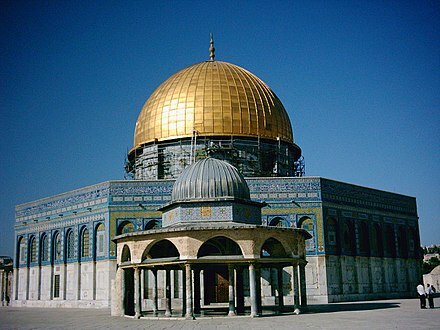 The movement is said to have been founded around the year 650 CE or about 20 years after the death of the Islamic prophet Muhammad, predating both the Sunni and Shia denominations. Modern historians trace back the origins of the denomination to a moderate current of the Khawarij movement; contemporary Ibāḍīs strongly object to being classified as Kharijites, although they recognize that their movement originated with the Kharijite secession of 657 CE. Several hadith indicate the importance as sources of Islam not only the Quran, but also of the Sunnah of the Islamic prophet Muhammad. One of these hadith quotes Muhammad as saying: "I have left among you two matters by holding fast to which, you shall never be misguided: the Book of God and my Sunna." The Mahdi is an eschatological redeemer of Islam who, according to some Islamic traditions, will appear and rule for five, seven, nine or nineteen years before the Day of Judgment and will rid the world of evil. In Islam, animals are conscious of God. According to the Qur'an, they praise him, even if this praise is not expressed in human language. Baiting animals for entertainment or gambling is prohibited. Twelver or Imamiyyah is the largest branch of Shia Islam. The term Twelver refers to its adherents' belief in twelve divinely ordained leaders, known as the Twelve Imams, and their belief that the last Imam, Muhammad al-Mahdi, lives in occultation and will reappear as the promised Mahdi. According to Shia tradition, the Mahdi's tenure will coincide with the Second Coming of Jesus Christ (Isa), who is to assist the Mahdi against the Masih ad-Dajjal. The Verse of Wilayah or Leadership is the 55th verse of the Al-Ma'ida Chapter in the Quran. Both Sunni and Shia scholars accept that the verse alludes to the giving of zakāṫ to the poor by Ali while he was in rukū‘ during Ṣalāṫ, but only the Shia see it as bestowing the succession of Muhammad upon him. ↑ There are ten pronunciations of Islam in English, differing in whether the first or second syllable has the stress, whether the s is /z/ or /s/, and whether the a is pronounced /ɑː/, /æ/ or (when the stress is on the first syllable) /ə/ (Merriam Webster). The most common are /ˈɪzləm, ˈɪsləm, ɪzˈlɑːm, ɪsˈlɑːm/ (Oxford English Dictionary, Random House) and /ˈɪzlɑːm, ˈɪslɑːm/ (American Heritage Dictionary). ↑ John L. Esposito (2009). "Islam. Overview". In John L. Esposito. The Oxford Encyclopedia of the Islamic World. Oxford: Oxford University Press. doi:10.1093/acref/9780195305135.001.0001/acref-9780195305135-e-0383 (inactive 2018-09-08). (Subscription required (help)). Profession of Faith [...] affirms Islam's absolute monotheism and acceptance of Muḥammad as the messenger of God, the last and final prophet. 1 2 "The Global Religious Landscape". 18 December 2012. ↑ Campo, Juan Eduardo (2009). "Allah". Encyclopedia of Islam. Infobase Publishing. p. 34. ISBN 978-1-4381-2696-8. ↑ İbrahim Özdemir (2014). "Environment". In Ibrahim Kalin. The Oxford Encyclopedia of Philosophy, Science, and Technology in Islam. Oxford: Oxford University Press. doi:10.1093/acref:oiso/9780199812578.001.0001/acref-9780199812578-e-237 (inactive 2018-09-08). (Subscription required (help)). When Meccan pagans demanded proofs, signs, or miracles for the existence of God, the Qurʾān's response was to direct their gaze at nature's complexity, regularity, and order. The early verses of the Qurʾān, therefore, reveal an invitation to examine and investigate the heavens and the earth, and everything that can be seen in the environment [...] The Qurʾān thus makes it clear that everything in Creation is a miraculous sign of God (āyah), inviting human beings to contemplate the Creator. ↑ "People of the Book". Islam: Empire of Faith . PBS. Retrieved 2010-12-18. ↑ Moghul, Haroon. "Why Muslims celebrate a Jewish holiday". CNN. Retrieved 2018-01-18. ↑ "Eschatology – Oxford Islamic Studies Online". www.oxfordislamicstudies.com. Retrieved 2018-01-18. 1 2 3 "British & World English: sharia". Oxford: Oxford University Press. Retrieved 4 December 2015. ↑ Esposito, John (1998). Islam: The Straight Path (3rd ed.). Oxford University Press. pp. 9, 12. ISBN 978-0-19-511234-4. ↑ Peters, F.E. (2003). Islam: A Guide for Jews and Christians. Princeton University Press. p. 9. ISBN 978-0-691-11553-5. ↑ Watt, William Montgomery (2003). Islam and the Integration of Society. Psychology Press. p. 5. ISBN 9780415175876. ↑ George Saliba (1994), A History of Arabic Astronomy: Planetary Theories During the Golden Age of Islam, pp. 245, 250, 256–257. New York University Press, ISBN 0-8147-8023-7. ↑ King, David A. (1983). "The Astronomy of the Mamluks". Isis. 74 (4): 531–555. doi:10.1086/353360. "Mapping the Global Muslim Population: A Report on the Size and Distribution of the World's Muslim Population". Pew Research Center . October 7, 2009. Retrieved 2013-09-24. 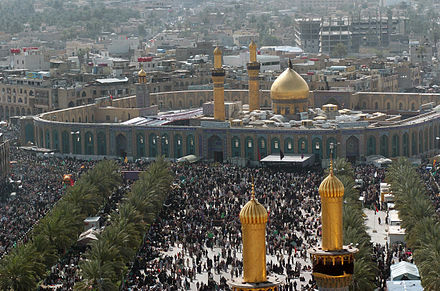 Of the total Muslim population, 10–13% are Shia Muslims and 87–90% are Sunni Muslims. "Sunni". Berkley Center for Religion, Peace, and World Affairs . Retrieved December 20, 2012. Sunni Islam is the largest denomination of Islam, comprising about 85% of the world's over 1.5 billion Muslims. ↑ Pechilis, Karen; Raj, Selva J. (2013). 193%5d South Asian Religions: Tradition and Today Check |url= value (help). Routledge. p. 193. ISBN 9780415448512. ↑ "Middle East-North Africa Overview". Pew Research Center's Religion & Public Life Project. 2009-10-07. Retrieved 2018-01-18. ↑ "Region: Middle East-North Africa". The Future of the Global Muslim Population. Pew Research Center. Retrieved 22 December 2011. ↑ "Region: Sub-Saharan Africa". The Future of the Global Muslim Population. Pew Research Center. Retrieved 22 December 2011. ↑ "Muslim Population by Country". The Future of the Global Muslim Population. Pew Research Center. Archived from the original on 9 February 2011. Retrieved 22 December 2011. ↑ "Islam in Russia". www.aljazeera.com. ↑ "Main Factors Driving Population Growth". Pew Research Center's Religion & Public Life Project. 2015-04-02. Retrieved 2018-10-23. ↑ Burke, Daniel (April 4, 2015). "The world's fastest-growing religion is ..." CNN. Retrieved 18 April 2015. 1 2 3 Lippman, Thomas W. (2008-04-07). "No God But God". U.S. News & World Report. Retrieved 2013-09-24. Islam is the youngest, the fastest growing, and in many ways the least complicated of the world's great monotheistic faiths. It is based on its own holy book, but it is also a direct descendant of Judaism and Christianity, incorporating some of the teachings of those religions—modifying some and rejecting others. ↑ Lewis, Barnard; Churchill, Buntzie Ellis (2009). Islam: The Religion and The People. Wharton School Publishing. p. 8. ISBN 9780132230858. ↑ "What does Islam mean?". The Friday Journal. 2011-02-06. Archived from the original on 2011-03-14. ↑ Esposito, John L. (2000-04-06). The Oxford History of Islam. Oxford University Press. pp. 76–77. ISBN 9780195107999. ↑ Mahmutćehajić, Rusmir (2006). 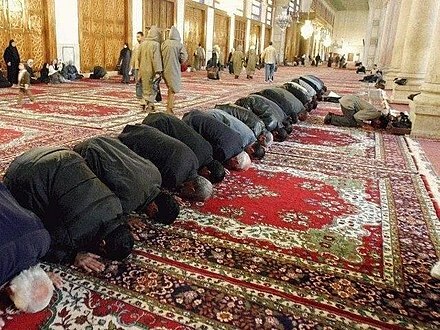 The mosque: the heart of submission. Fordham University Press. p. 84. ISBN 978-0-8232-2584-2. ↑ "Buddhism: Buddhism at a glance". BBC – Religions. ↑ Kenneth G. Wilson, The Columbia Guide to Standard American English ( ISBN 0231069898), p. 291: Muhammadan and Mohammedan are based on the name of the prophet Mohammed, and both are considered offensive. ↑ God Created the Universe with the Purpose to Serve Humankind: God Created ... By Fateh Ullah Khan p. 298 [ Khan, Fateh Ullah (2009). God Created the Universe with the Purpose to Serve Humankind: God Created Humankind to Worship Him and Appointed Him as Viceroy in Earth to See how He Behaves. Fateh Ullah Khan Gandapur. pp. 298–. ISBN 978-969-9399-00-8. ↑ Turfe, Tallal Alie (1985). Islamic Unity and Happiness. TTQ, Inc. p. 37. ISBN 9780940368477. ↑ What is Islam? By Jamaal Zarabozo p. 37 . Retrieved 7 October 2014. ↑ Agwan, A.R. ; Khan, N.K. (2000). A–E. Global Vision Publishing. p. 357. ISBN 9788187746003. ↑ Bentley, David (1999). The 99 Beautiful Names for God for All the People of the Book. William Carey Library. ISBN 978-0-87808-299-5. ↑ Al Faruqi; Lois Ibsen (1987). "The Cantillation of the Qur'an". Asian Music (Autumn – Winter 1987): 3–4. Encyclopedia of Islam and the Muslim World (2003), p. 666* J. Robson. "Hadith". Encyclopaedia of Islam Online. * D.W. Brown. "Sunna". Encyclopaedia of Islam Online. 1 2 Read, Study, Search Online. Sahih Bukhari. Retrieved on 2013-07-28. ↑ [ Brown, Jonathan (2007). The Canonization of Al-Bukh?r? and Muslim: The Formation and Function of the Sunn? ?ad?th Canon. Brill. ISBN 978-90-04-15839-9. ↑ Meri, Josef W. (2005). Medieval Islamic Civilization: An Encyclopedia. USA: Routledge. ISBN 978-0-415-96690-0. ↑ "Chapter 4: The Hadith". Al-Islam.org. ↑ Yahya, Harun (12 May 2010). Portents And Features of the Mahdi's Coming. Global Publishing. Kindle Edition. Cohen-Mor (2001 , p. 4): "The idea of predestination is reinforced by the frequent mention of events 'being written' or 'being in a book' before they happen: 'Say: "Nothing will happen to us except what Allah has decreed for us..." ' "* Ahmet T. Karamustafa. "Fate". Encyclopaedia of the Qur'an Online. : The verb qadara literally means "to measure, to determine". Here it is used to mean that "God measures and orders his creation". ↑ "Hajj – ReligionFacts". www.religionfacts.com. Retrieved 2015-11-21. ↑ Budge, E.A. Wallis (2001). Budge's Egypt: A Classic 19th century Travel Guide. Courier Dover Publications. pp. 123–128. ISBN 978-0-486-41721-9. ↑ Skinner Keller, Rosemary; Ruether, Rosemary Radford; Marie Cantlon (2006). Encyclopedia of Women and Religion in North America: Native American creation stories. Indiana University Press. pp. 615–. ISBN 978-0-253-34687-2. Pedersen, J.; Hillenbrand, R.; Burton-Page, J. "Masdjid". Encyclopaedia of Islam Online . ↑ Ariff, Mohamed (1991). The Islamic Voluntary Sector in Southeast Asia: Islam and the Economic Development of Southeast Asia. Institute of Southeast Asian Studies. pp. 55–. ISBN 978-981-3016-07-1. ↑ "Analysis: A faith-based aid revolution in the Muslim world?". IRIN. 2012-06-01. Retrieved 2013-09-24. ↑ Said, Abdul Aziz; et al. (2006). Contemporary Islam: Dynamic, Not Static. Taylor & Francis. p. 145. ISBN 9780415770118. ↑ Matt Stefon, ed. (2010). Islamic Beliefs and Practices. New York City: Britannica Educational Publishing. p. 72. ISBN 978-1-61530-060-0. ↑ Matt Stefon, ed. (2010). Islamic Beliefs and Practices. New York City: Britannica Educational Publishing. p. 93. ISBN 978-1-61530-060-0. ↑ Davids, Abu Muneer Ismail (2006). Getting the Best Out of Hajj By Abu Muneer Ismail Davids. ISBN 9789960980300 . Retrieved 7 October 2014. ↑ Peters, F.E. (2009). Islam: A Guide for Jews and Christians. p. 20. ISBN 978-1400825486 . Retrieved 7 October 2014. ↑ Alhuseini, Sayed / Farouq M. (2012). Islam and the Glorious Ka'abah: none. iUniverse. pp. 61–. ISBN 978-1-4697-8590-5. 1 2 Nigosian, S.A. (2004). Islam: Its History, Teaching, and Practices. Indiana University Press. p. 70. ISBN 978-0-253-21627-4. 1 2 Matt Stefon, ed. (2010). Islamic Beliefs and Practices. New York City: Britannica Educational Publishing. pp. 42–43. ISBN 978-1-61530-060-0. 1 2 3 4 5 6 7 8 Vikør, Knut S. (2014). 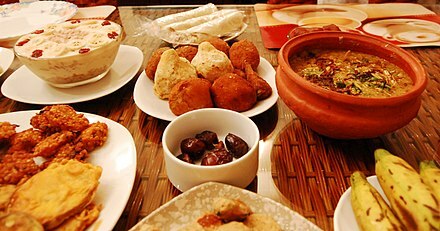 "Sharīʿah". In Emad El-Din Shahin. The Oxford Encyclopedia of Islam and Politics. Oxford University Press. ↑ Esposito, John L.; DeLong-Bas, Natana J. (2001). Women in Muslim Family Law. Syracuse University Press. pp. 2–. ISBN 978-0-8156-2908-5. Quote: "[...], by the ninth century, the classical theory of law fixed the sources of Islamic law at four: the Quran, the Sunnah of the Prophet, qiyas (analogical reasoning), and ijma (consensus)." 1 2 Mayer, Ann Elizabeth (2009). "Law. Modern Legal Reform". In John L. Esposito. The Oxford Encyclopedia of the Islamic World. Oxford: Oxford University Press. ↑ An-Na'im, Abdullahi A (1996). "Islamic Foundations of Religious Human Rights". In Witte, John; van der Vyver, Johan D. Religious Human Rights in Global Perspective: Religious Perspectives. pp. 337–359. ISBN 978-90-411-0179-2. ↑ Karim, Shafiel A. (2010). The Islamic Moral Economy: A Study of Islamic Money and Financial Instruments. Boca Raton, FL: Brown Walker Press. ISBN 978-1-59942-539-9. ↑ Al-Buraey, Muhammad (1985). Administrative Development: An Islamic Perspective. KPI. pp. 254–. ISBN 978-0-7103-0333-2. ↑ Al-Buraey, Muhammad (1985). Administrative Development: An Islamic Perspective. KPI. pp. 252–. ISBN 978-0-7103-0059-1. ↑ Akgündüz, Ahmed; Öztürk, Said (2011). 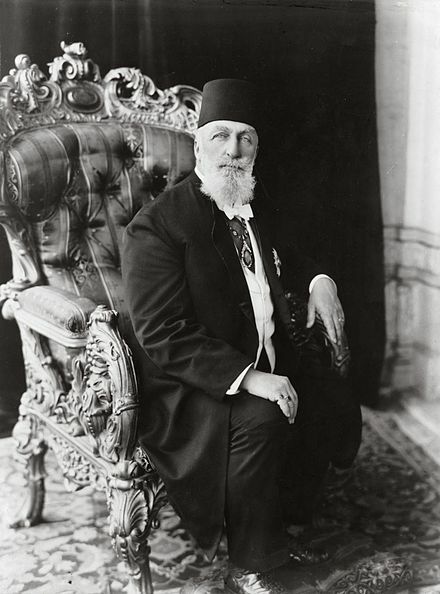 Ottoman History: Misperceptions and Truths. IUR Press. pp. 539–. ISBN 978-90-90-26108-9 . Retrieved 7 October 2014. ↑ Peters, Rudolph; Cook, David (2014). "Jihād". The Oxford Encyclopedia of Islam and Politics. Oxford: Oxford University Press. doi:10.1093/acref:oiso/9780199739356.001.0001/acref-9780199739356-e-0263 (inactive 2018-09-08). (Subscription required (help)). 1 2 "Djihād". Encyclopaedia of Islam Online. 1 2 Ahmed Zarruq, Zaineb Istrabadi, Hamza Yusuf Hanson. The Principles of Sufism. Amal Press. 2008. ↑ Chittick, William C (2008). Sufism: A Beginner's Guide. ISBN 9781780740522 . Retrieved 17 January 2015. ↑ Nasr, Seyyed Hossein Nasr (1993). An Introduction to Islamic Cosmological Doctrines. ISBN 9780791415153 . Retrieved 17 January 2015. ↑ Schimmel, Annemarie (2014-11-25). "Sufism". Britannica.com. Retrieved 2018-06-26. ↑ David Cook (2015). "Mysticism in Sufi Islam". Oxford Research Encyclopedias. ↑ "Barelvi – Oxford Reference". Oxfordreference.com. doi:10.1093/acref/9780192800947.001.0001/acref-9780192800947-e-908 (inactive 2018-09-08). ↑ Alvi, Farhat. "The Significant Role of Sufism in Central Asia" (PDF). ↑ Johns, Anthony H (1995). "Sufism in Southeast Asia: Reflections and Reconsiderations". Journal of Southeast Asian Studies. 26 (1): 169–183. JSTOR 20071709. 1 2 3 "Chapter 1: Religious Affiliation". The World's Muslims: Unity and Diversity. Pew Research Center's Religion & Public Life Project. August 9, 2012. Retrieved 4 September 2013. ↑ Aminrazavi, Mehdi (2016). "Mysticism in Arabic and Islamic Philosophy". In Edward N. Zalta. The Stanford Encyclopedia of Philosophy (Summer 2016 ed.). ↑ Juan E. Campo, ed. (2009). "Encyclopedia of Islam". Encyclopedia of Islam. Facts on File. p. 106. ISBN 978-0-8160-5454-1. 1 2 Nigosian, S.A. (2004). 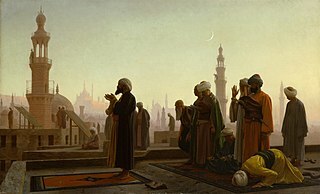 Islam: Its History, Teaching, and Practices. Indiana: Indiana University Press. p. 120. ISBN 978-0-253-21627-4. 1 2 Juan E. Campo, ed. (2009). "Encyclopedia of Islam". Encyclopedia of Islam. Facts on File. p. 136. ISBN 978-0-8160-5454-1. ↑ Newby, Gordon D. (2002). A concise encyclopedia of Islam (Repr. ed.). Oxford: Oneworld. p. 141. ISBN 978-1851682959. ↑ Nasr, Seyyed Hossein (2001). Islam : religion, history, and civilization. New York: HarperOne. p. 68. ISBN 978-0060507145. ↑ "Why Can't a Woman have 2 Husbands?". 14 Publications. Archived from the original on 23 December 2015. Retrieved 27 December 2015. ↑ "Validity of marrying a second wife for mere love and without consent of first wife". islamqa.info. ↑ "Husband does not need permission of first wife to take a second wife". ↑ Eaton, Gai (2000). Remembering God: Reflections on Islam. Cambridge: The Islamic Texts Society. pp. 92–93. ISBN 978-0946621842. ↑ Matt Stefon, ed. (2010). Islamic Beliefs and Practices. New York City: Britannica Educational Publishing. p. 83. ISBN 978-1-61530-060-0. 1 2 Matt Stefon, ed. (2010). Islamic Beliefs and Practices. New York City: Britannica Educational Publishing. p. 92. ISBN 978-1-61530-060-0. ↑ Corrigan, John; Denny, Frederick; Jaffee, Martin S (2016). Jews, Christians, Muslims: A Comparative Introduction to Monotheistic Religions. Routledge. p. 245. ISBN 9781317347002 . Retrieved 22 January 2016. ↑ Al-Sheha, Abdur Rahman. Human Rights in Islam and Common Misconceptions. Riyadh. p. 65. ↑ Bouhdiba, Abdelwahab, ed. (1998). The Individual and Society in Islam: Volume 2 of The different aspects of Islamic culture. UNESCO. p. 238. ISBN 9789231027420. ↑ al-Sheha, Abdur Rahman. Human Rights in Islam and Common Misconceptions. Riyadh. pp. 74–75. 1 2 Juan E. Campo, ed. (2009). "Encyclopedia of Islam". Encyclopedia of Islam. Facts on File. p. 216. ISBN 978-0-8160-5454-1. 1 2 Nigosian, S.A. (2004). Islam: Its History, Teaching, and Practices. Indiana: Indiana University Press. p. 116. ISBN 978-0-253-21627-4. ↑ Oliver Leaman, ed. (2006). "The Qur'an". The Qur'an: An Encyclopedia. Routledge. p. 140. ISBN 9-78-0-415-32639-1. ↑ Juan E. Campo, ed. (2009). "Encyclopedia of Islam". Encyclopedia of Islam. p. 215. ISBN 978-0-8160-5454-1. ↑ Khadduri, Majid (1984). The Islamic Conception of Justice. The Johns Hopkins University Press. p. 10. ISBN 9780801869747. ↑ Oliver Leaman, ed. (2006). "The Qur'an". The Qur'an: An Encyclopedia. Routledge. p. 214. ISBN 978-0-415-32639-1. ↑ Barazangi, Nimat Hafez; Zaman, M. Raquibuz; Afzal, Omar (1996). Islamic Identity and the Struggle for Justice. University Press of Florida. ISBN 978-0-8130-1382-4. ↑ Amuzegar, Jahangir (1997). Iran's Economy Under the Islamic Republic By Jahangir Amuzegar. ISBN 9781860641046 . Retrieved 7 October 2014. ↑ Curtis, Glenn E.; Hooglund, Eric (2008). Iran: A Country Study. Government Printing Office. pp. 196–. ISBN 978-0-8444-1187-3. ↑ Almukhtar, Sarah; Peçanha, Sergio; Wallace, Tim (January 5, 2016). "Behind Stark Political Divisions, a More Complex Map of Sunnis and Shiites". The New York Times. Retrieved January 6, 2016. ↑ Ünal, Ali (2006). The Qurʼan with Annotated Interpretation in Modern English. Tughra Books. pp. 1323–. ISBN 978-1-59784-000-2. ↑ "Constitution of Medina" . Retrieved 7 October 2014. ↑ Buhl, F; Welch, A.T. "Muhammad". Encyclopaedia of Islam Online. ↑ John L. Esposito, ed. (2014). "Rightly Guided Caliphs". The Oxford Dictionary of Islam. Oxford: Oxford University Press. doi:10.1093/acref/9780195125580.001.0001/acref-9780195125580-e-2018 (inactive 2018-09-08). (Subscription required (help)). ↑ Harney, John (January 3, 2016). "How Do Sunni and Shia Islam Differ?". The New York Times. Retrieved January 4, 2016. ↑ "Al-Muwatta'" . Retrieved 7 October 2014. ↑ Noel James Coulson (1964). History of Islamic Law. p. 103. ISBN 9780748605149 . Retrieved 7 October 2014. ↑ Houtsma, M. Th. (1993). E.J. Brill's First Encyclopaedia of Islam, 1913-1936. Brill. pp. 207–. ISBN 978-90-04-09791-9. 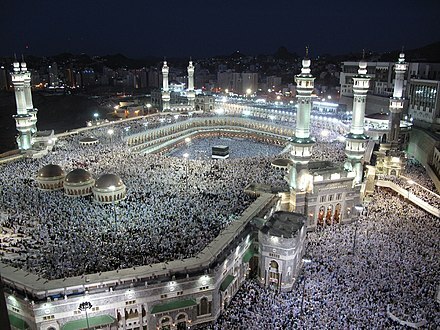 ↑ "Mecca (Saudi Arabia)". Encyclopædia Britannica. Retrieved 2011-11-12. ↑ Doi, Abdur Rahman (1984). Shariah: The Islamic Law. London: Ta-Ha Publishers. p. 110. ISBN 978-0-907461-38-8. 1 2 Jacquart, Danielle (2008). "Islamic Pharmacology in the Middle Ages: Theories and Substances". European Review (Cambridge University Press) 16: 219–227. ↑ Brater, D. Craig; Daly, Walter J. (2000). "Clinical pharmacology in the Middle Ages: Principles that presage the 21st century". Clinical Pharmacology & Therapeutics. 67 (5): 447–450 . doi:10.1067/mcp.2000.106465. PMID 10824622. ↑ Haviland, Charles (2007-09-30). 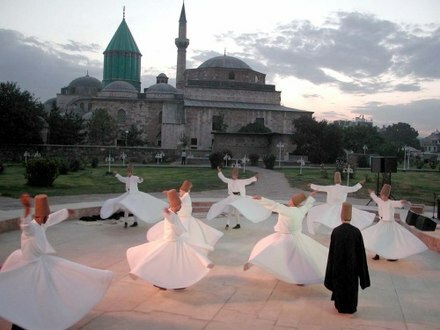 "The roar of Rumi – 800 years on". BBC News. Retrieved 2011-08-10. ↑ "Islam: Jalaluddin Rumi". BBC. 2009-09-01. Retrieved 2011-08-10. ↑ Micheau, Françoise. "Encyclopedia of the History of Islamic Science: Technology, alchemy and life": 991–992. , in Rāshid, Rushdī; Morelon, Régis (1996). 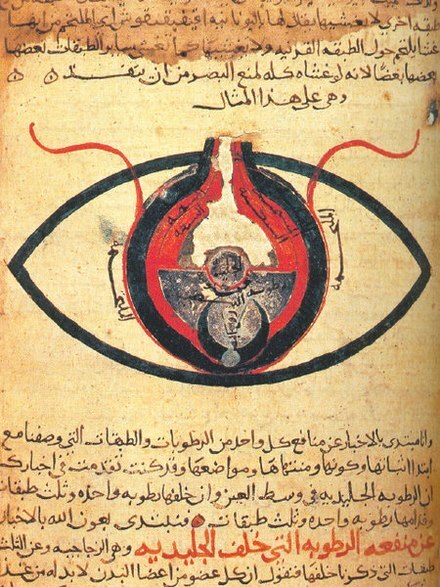 Encyclopedia of the History of Arabic Science: Technology, alchemy and life sciences. CRC Press. ISBN 978-0-415-12412-6. ↑ "The beginnings of modern medicine: the Caliphate". Planetseed.com. Archived from the original on 2011-07-15. Retrieved 2011-01-29. ↑ Alatas, Syed Farid (2006). "From Jami'ah to University: Multiculturalism and Christian–Muslim Dialogue". Current Sociology. 54 (1): 112–132. doi:10.1177/0011392106058837. ↑ Imamuddin, S.M. (1981). 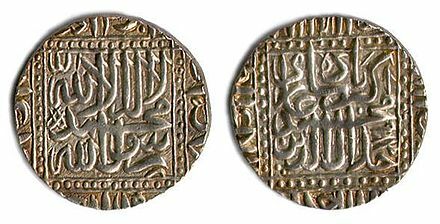 Muslim Spain 711–1492 AD. Brill. p. 169. ISBN 978-90-04-06131-6.